Creatine is perhaps one of the most studied and used sports supplement in history. 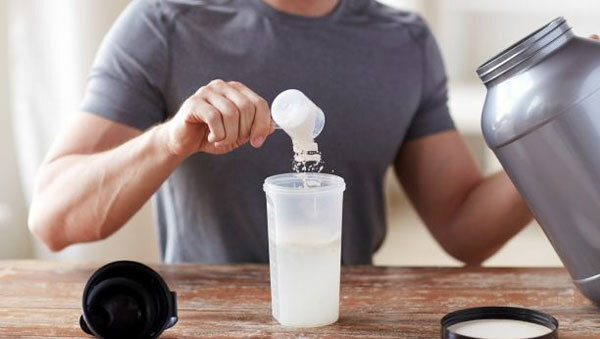 Creatine impacts your performance in and out of the gym, gives you a nice full look, and allows you to break through any plateaus you may have. If you’re looking for one supplement that will help you build your physique while giving you a performance boost, creatine is the supplement for you. This article is designed to give you a solid understanding about creatine and how it works. We’ll give you the tools to make an informed decision about which product you should buy, or even if you should buy it. Creatine itself was discovered as part of the energy system on a cellular level. Over time, bodybuilders used creatine for enhancing their workouts and recovery. If there were ever one supplement that made the biggest ripple in the fitness community, creatine would be it. It is an integral part of muscle building, and this was one of the first non-anabolic steroid compounds found to work. Creatine is created naturally in the body and can actually be found in foods such as fish, chicken, and beef. The problem is that they are in small concentrations, and we can use much more. 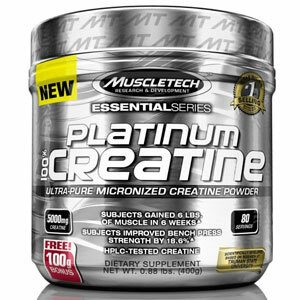 Creatine helps replace ATP, or adenosine triphosphate, and induce muscle growth. Creatine simply increases the amount of fuel that powers the muscles. Creatine boosts your energy, increases strength, and helps you build muscle. Increased endurance and the anti-aging properties are two other overlooked benefits. Creatine allows you to train harder and longer without any side effects. Creatine has been shown to help neurological conditions such as neurosclerosis and Parkinson’s disease. While it does not help cure the disease, creatine allows nerves to get strengthened and nourished adequately. Lastly, creatine can help those who suffer from Type 2 diabetes, as it promotes glucose formation and regulation. Creatine has been medically shown to stimulate your brain and improve motor skills and mental ability. When you supplement with creatine, there are two phases. One is the loading phase, the other is the maintenance phase. The loading phase helps nourish the muscles with creatine, while maintenance is to maintain the levels. The loading period generally takes anywhere from four to seven days and then you follow that up with a regular maintenance dose. The maintenance dose is anywhere from five to 15 grams. Non-Stop Supplementation – After loading, this takes six weeks of maintenance phase with the seventh week being a loading phase. Repeat this routine. Cycling – After loading, intake up to 15 grams of creatine for six weeks. After the six weeks, take two weeks off from taking creatine before starting a new loading phase. Creatine Powder or Creatine Pills? Choosing powder versus pills will be more of a personal preference more than anything. Picking a powder supplement means you will have to mix this and drink it, while pills you simply take. Many fitness experts recommend powder form due to a faster absorption rate, which leads to better results. Now that you know how creatine works, let’s check out some of the best choices. Below is a table accompanied by a review of each creatine supplement we chose. We take into account cost, value, and quality. Combining the most studied supplement in the industry with a leading manufacturer brand? Yes please! 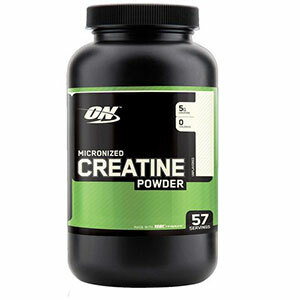 Optimum Nutrition’s micronized unflavored creatine is a great supplement with a lot of value. Getting a hearty 5 grams per rounded teaspoon, this creatine will be a gift that keeps on giving. Muscletech comes with a big name and a quality product. Backed by years of experience, Muscletech has produced a great supplement and gives a great bang for your buck. Load for three days mixing 1 scoop into 8 ounces of water and consume 4 times daily. For maintenance phase, mix 1 scoop into 8 ounces of water and consume 1 to 2 times daily. For improved results, use a non-acidic carbohydrate-rich drink like grape juice. 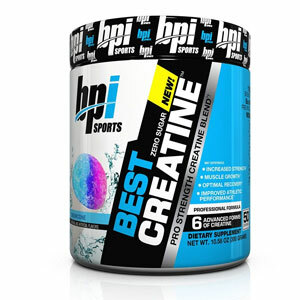 Improve your performance with a creatine supplement that gives more than just creatine. 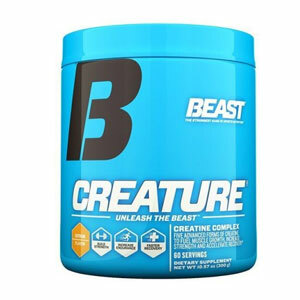 Get the most out of your workouts and recovery with Beast Sports’ Creatine. 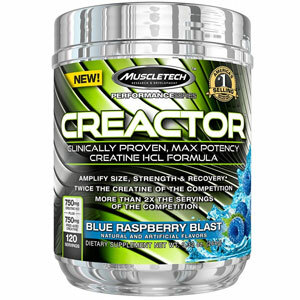 Their creatine powder includes a blend of five of the best types of creatine. This fast-acting supplement has been crafted from some of the more purist forms which will absorb much faster into the body. 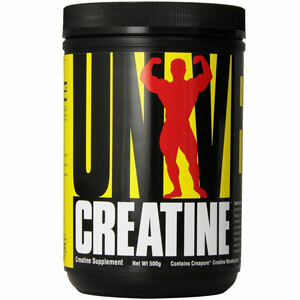 Universal’s choice to use Creapure makes this creatine a great supplement. Creapure is designed to be the purest and fastest absorbing creatine on the market. 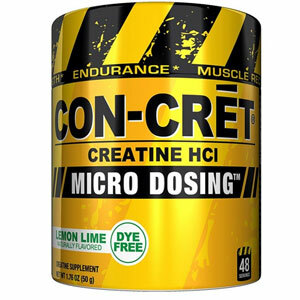 Con-Cret has been around forever and is a tried and true creatine supplement. 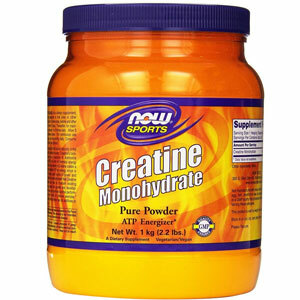 No need to worry about loading, getting dehydrated, or having any stomach issues with this great creatine supplement. 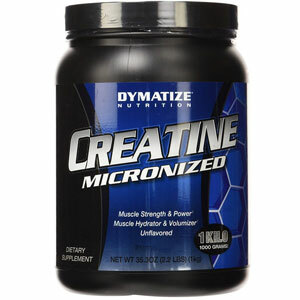 Dymatize micronized creatine is good old fashioned quality creatine monohydrate. This is your standard no-fluff creatine supplement and allows you to enjoy the benefits of creatine without breaking the bank. This supplement is 100% pure HPLC certified. If you’re looking for a good quality creatine that won’t bust the wallet, NOW Sports has the solution for you. This creatine supplement is vegetarian-friendly and it is free of yeast, wheat, corn, soy, milk, additives, preservatives. If you’re looking for a more advanced creatine supplement, this is for you. You won’t need to have a loading phase with this creatine and you will enjoy the benefits from day 1. The added insulin mimickers help build muscle and shuttle nutrients to your muscles. 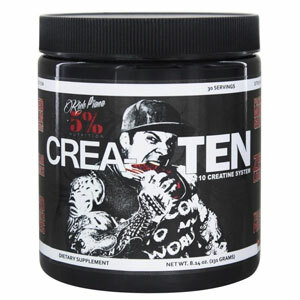 Crea-Ten gets it’s name from the fact this supplement has 10 different types of creatine. Check out this review below. Getting the most out of your supplement is important. Utilizing some of these tips will make a difference in performance and it will determine how far you can stretch your dollar. Be Consistent – Taking creatine consistently and following the proper dosing protocol is important for performance. Non-Acidic Fruit Juice – Taking creatine with some non-acidic fruit juice such as grape juice has been shown to help increase your absorption. Eat Right – eating a diet conducive to a healthy lifestyle will improve overall work output and performance.